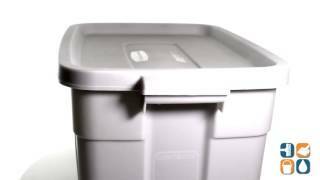 Rugged storage box features shatter-resistant polyethylene construction. Sturdy built-in handles simplify transport. 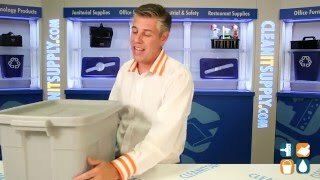 Snap-on, stay-tight lids help keep contents dry and dust-free. Stackable design enables easy, space-saving storage. Boxes & Bins Type: Covered; Width: 24"; Depth: 16"; Height: 12.2".